The kill me now type: Presentations done for the sake of filling time with an activity that seems productive but is a waste of time for everyone involved, including the presenter. We've all been there and want to forget. Luckily, they don't happen all that often and when they do, we've learned to use the weak bladder excuse to periodically stop the brain pain (the flight response). The I think I heard something about it but forgot type: Content-rich presentations delivered in such a way that we forget most of what was taught even though we might have stayed engaged throughout. This is the type we experience most often. The presenter has good intentions but lacks the understanding of how to deliver a killer talk or multimedia presentation. The killer type: Engaging presentations full of valuable content presented in such a way that we can remember and apply it to our work or personal life. They don't kill us. They kill IT. They cause us to have strong, positive, and hopefully appropriate feelings toward the presenter. We feel thankful, inspired, and challenged to action. The infographic below is about the elusive presentation type - one that showcases the speaker's knowledge as much as skill. One, that proves he or she can communicate ideas in a way anyone can understand and apply them. One, that leaves us in awe of the presenter and wanting more because somehow, some way the presenter understands how the human brain learns and leverages it when creating the presentation. One, that we'll talk about to others. One, that leads to professional success because everyone wants that person on their team. When employers talk about communication skills they specifically want an employee who communicates effectively, is engaging. and energizes others to act. 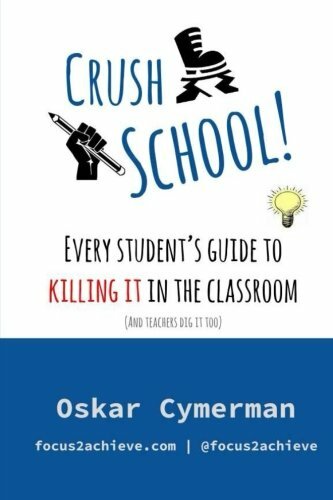 My new book Crush School Student Guide: Learn Faster, Study Smarter, Remember More, and Make School Easier contains 4 lessons designed to help students create, practice, and deliver effective presentations and avoid the dreaded "Death by PowerPoint." Each lesson contains exercises and examples. But I don't just tell students how to do it - I walk them through the process and provide a plan and a template to follow so they can create their presentation right in the book. It's kind of like having a coach who helps you practice a skill after it's shown to you. In fact, all 60 chapters/lessons are designed for students to use the skills after they're described. The infographic below is merely an "information-delivery" medium. Applying it is the key to learning. Check it out! 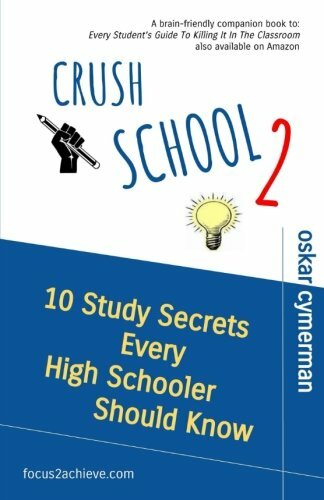 When writing Crush School Student Guide: Learn Faster, Study Smarter, Remember More, and Make School Easier, I wanted to create a resource a student can use for school and beyond. My goal was not only to write a book that helps teens learn more effectively while stressing less about school - I also set out to create a guide that helps them learn transferable skills they will need in college and later work. The infographic above is one of a series of three I use to teach students how to create, prepare for, and deliver more effective presentations. If you're like me, you've sat through hours of mind-numbing PowerPoints or Google Slide presentations you remember little from. This is because the presenters did not know how to do it better. They were asked to give presentations in school but not taught how. They just did what their teachers did. I bet their information was valuable but it was delivered ineffectively. 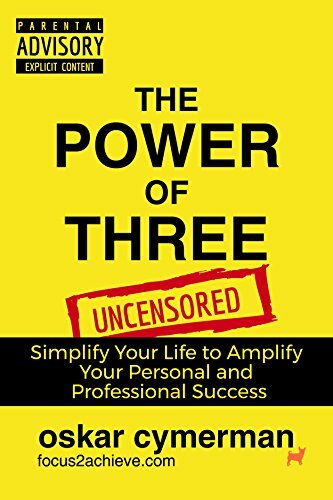 Skills, such as effective presentation and communication of ideas are the biggest reasons why some individuals achieve great success and others stay stuck on the first few rungs of the professional ladder. As these skills are often an afterthought in high school and college, students who choose to learn them on their own rise above the average and advance in their future professions. Just take a look at the list below and think about how many of the skills below were deliberately taught in your high school and how much class time was spent analyzing how to improve them. My guess is... not much. Chances are you were expected to use them but not explicitly taught how to or given a plan to improve. This realization of how inadequate schools are at skills instruction is what guides my writing. 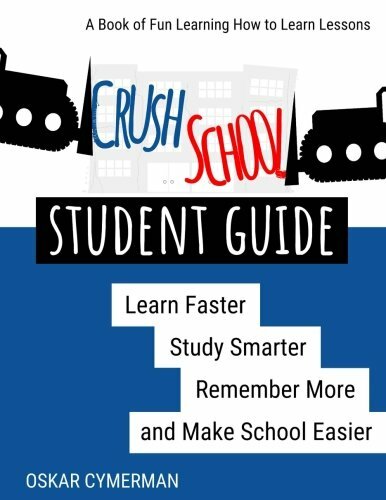 The Crush School Student Guide is an all-in-one book, guide, and exercise manual that contains a series of short, fun, and easy to follow lessons designed to teach students skills needed for school and work success; skills required but not explicitly taught in today's schools. Over 60 strategies they can use to learn faster, study smarter, and remember (a lot) more of what they learn. 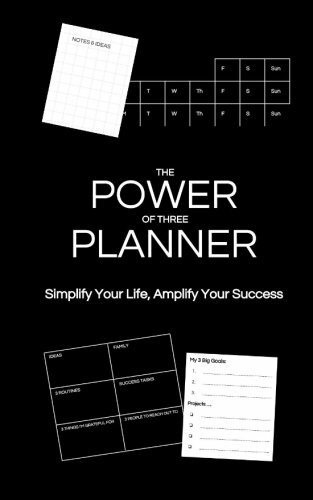 A self-paced fun way to learn how to learn and acquire success skills they'll be able to use in school and beyond. A reference guide that shows them how to use brain-friendly strategies to do better at school (understand difficult concepts, complete school projects, and study for tests).